Due to having visitors and taking advantage of the very fine weather to work in the garden at Dornoch not much has been happening lately. 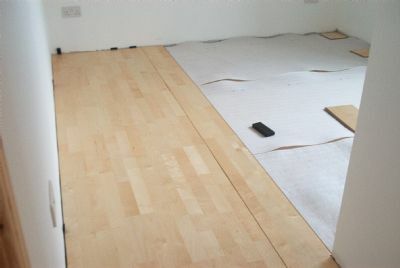 However, Benny is due back next week (Monday 7th) to commence the harling (pebble dashing) and Alex & Stuart are likewise expected next week to finish the skirtings and banister. 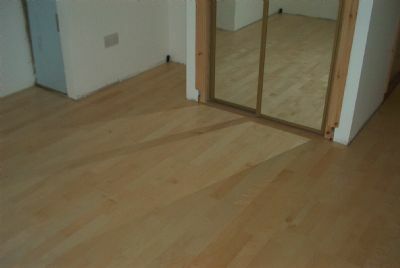 Back from our latest travels and start to lay the laminate flooring in Bedroom 3. 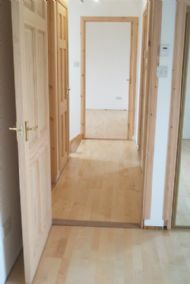 Finish the first bedroom and make a start on Bedroom 4. 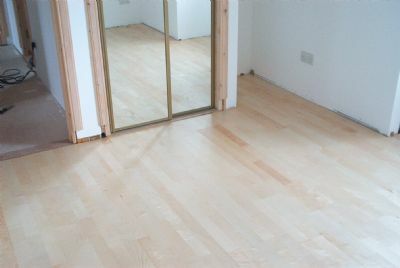 ... and the Master bedroom floor - all three bedrooms upstairs now have wooden floors down ready for the skirting boards. Finished the intricate landing flooring. 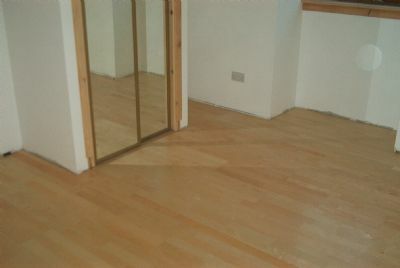 All upstairs floors now completed and all tools moved downstairs - phew!